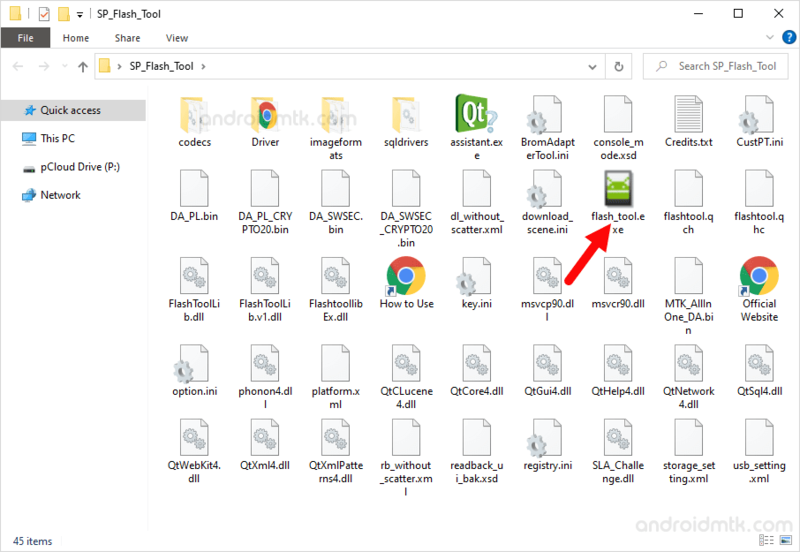 These are the instructions on How to remove pattern lock on any Mediatek Smartphone and Tablet using the SP Flash Tool on Windows Computer. Requirements: You need to have the Stock Firmware on your Mediatek Smartphone and Tablets in order to remove pattern lock successfully. Step 1: Download and install Mediatek Driver on your Computer (if in case Mediatek Drivers, is already installed on your computer then SKIP this step). Step 3: Download and extract the Stock Firmware of your Mediatek Smartphone or Tablet. Step 4: Now, Power Off the Device. Step 5: Now, Open SP Flash Tool. 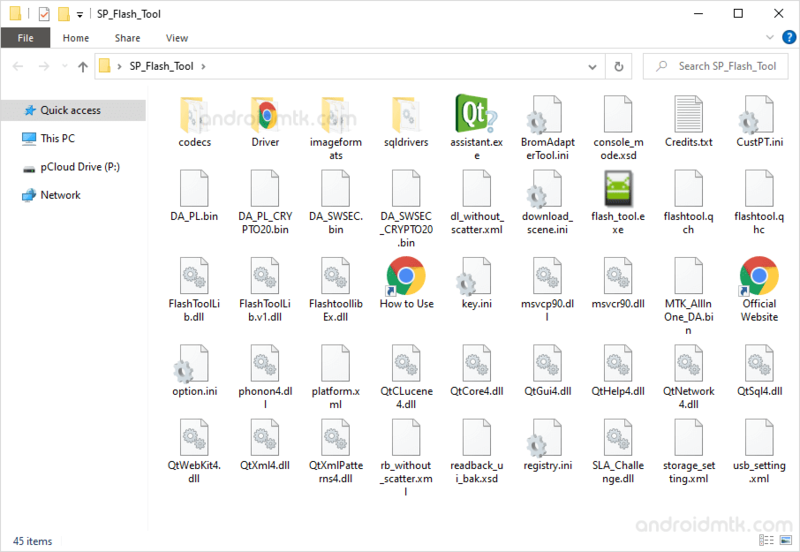 Step 6: Click on the Scatter Loading button and select the Scatter file from the firmware folder (you will find the scatter file in all Mediatek Stock Firmware). 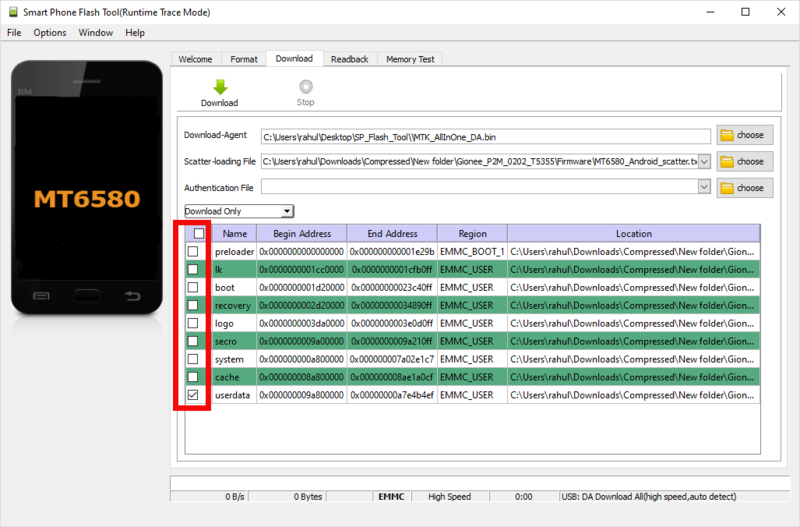 Step 8: Now, Select Download Method as Download Only. Step 9: Now, remove tick from all the available names, except userdata. Step 10: Now, Click on the Download button. Step 11: Now, Connect your Device to the Computer using the USB Cable (make sure device is OFF). Step 12: Now, Press Volume Down or Volume UP key, so that SP Flash Tool can recognize your device and begin the Flashing Process. Step 13: Once Flashing Process is completed you will be able to see the Green Ring at the end. Step 14: Now, Close SP Flash Tool on your computer and disconnect your Device from the computer. Step 15: Now, restart your Device. Once your device is restarted you wont be able to see Pattern Lock on the screen. [*] Caution: Your Personal Data will be removed after following the above method, and their wont be any way to recover them back. So, beware. [*] Download Mediatek Firmware: If you dont know where to download Mediatek Firmware from? Then use FirmwareFile to find free firmware for more than 6000 devices. 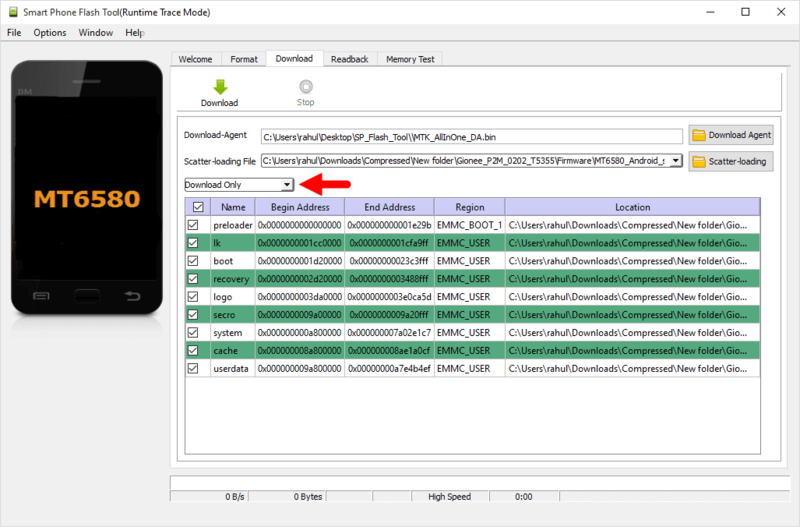 [*] Flash IMEI: If you want to learn to Flash IMEI on any Mediatek Smartphone or Tablet then follow How to Flash IMEI using SN Write Tool. [*] Credits: SP Flash Tool is created and distributed by Mediatek Inc. So, full credits goes to them for sharing the tool for free.